ISRO has delivered triple-star performance, why not Indian electronics product industry! 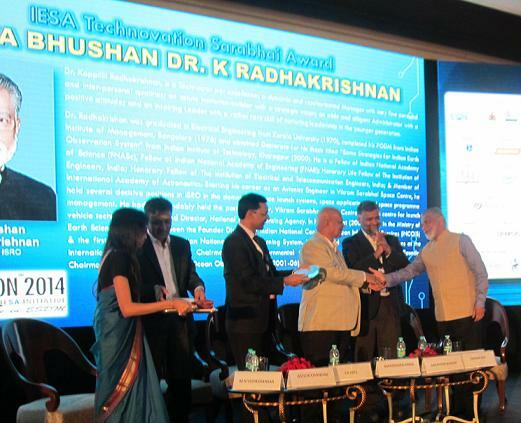 When ISRO puts India in the top 6 space powers of the world, why not Indian electronic industry put India in the top 20 of electronics and semiconductor industry by 2020, this is what opined by Padma Bhushan Dr. K Radhakrishnan, Former Chairman, ISRO at the IESA Vision Summit 2015. What is it required? Clearly most important thing is government support. ISRO is getting very good support since from its inception, and so is the achievement. It seems government is not just talking, but is very serious in supporting electronic industry the same level it has supported ISRO. The action has already begun. 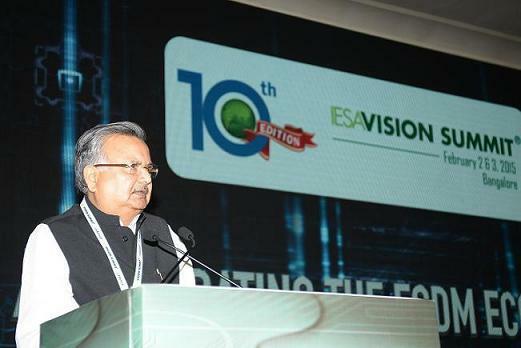 It was evident at the IESA vision summit 2015, where Siddaramaiah, Chief Minister of Karnataka and Raman Singh, Chief Minister of Chattisgarh have announced support for the electronics design and manufacturing in their respective states. You name the infrastructure requirement: 24/7 power and water, roads, airports, good schools, hospitals, and also recreation, Chattisgarh is already offering all this to global electronics and semiconductor manufacturing companies. The mineral rich state is a better destination than investing in Vietnam. One of the speaker at the event was commenting why Intel is preferring to build semiconductor fab in Vietnam, when India offers a lot better option. The government of Madhya Pradesh looks to be even ahead, where it has impressed an investor from US to build an analog semiconductor fab in Madhya Pradesh. We got to see after every five years, the newly elected governments would be able to provide prioritised support to electronics and semiconductor manufacturing. That is the worry many investors have, consistency in support is important. There looks to be a consensus among majority of Indian political parties in supporting electronics and semiconductor industry. Though union government and many state governments going good when it comes to supporting big investors, we should also look at the issues faced by the engineers, technicians and other staff working in electronics field. Since the labour laws are relaxed, the job security of people working in the industry is not that secure. They shoud save some amount of earnings to take care of themselves when they go temporarily jobless. Rising inflation is a worry for salaried people, Its not more about the rise in prices of food and other consumables, the serious concern is about rising house and office rents in cities like Bengaluru and such metros. In real estate business, within two/three years the invested money get doubled for most of the investors, but a diligent entrepreneur who starts a company with hard saved money, is more exposed to risk of failure, a very bad situation if the homeless (not owning a house) small scale entrepreneur fails in business. This economics model need to be questioned? The clean water, sanitation, prevention of communicable diseases, affordable health care, pollution control and vehicle traffic on roads, so overall quality life of people (covering extreme poor to rich) should remain a priority more in the form of efficient administration rather than the budget allocation/policies, while the manufacturing related infrastructure is provided to big investors. Municipalities need to adminstered as effeciently as the manufacturing companies. Its time to measure the output rather than long discussions/talks. The real good measure of India's success in electronics manufacturing can be made in set top box case. We as an electronics industry should be ashamed of failing to locally produce a simple and not so technically complex set top box. 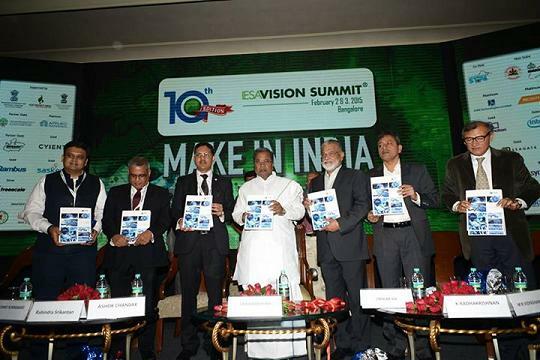 If India can make 80-90% of set top boxes locally by end of 2015, will be a good indication that we can scale up fast.